Gallipoli of Turkey features at the top of the list followed by Rocky Mountain National Park of US, Toledo of Belize, Tasmania of Australia and Arctic Norway of Norway. Similarly, The Copper Canyon of Mexico, Flores of Indonesia, Atacama Desert of Chile and Macau of China are in the seventh, eighth, ninth and tenth position, respectively. This year’s World Tourism Day (WTD) draws special attention to the role of tourism in contributing to one of the building blocks of a more sustainable future for all: Community development. This focus is in line with the global transition to the Sustainable Development Goals as the guiding principle promoted by the UN from 2015 and beyond.As a sector representing 9% of global GDP, one in 11 jobs worldwide, and a key revenue sector for developing and emerging economies, tourism is widely acknowledged for its capacity to respond to global challenges. The consolidation of tourism’s economic influence has built up its social responsibility and political relevance, with a growing number of countries allocating a stronger mandate to tourism in economic and development policy planning. The government has increased accidental insurance cover for mountaineering workers with effect from September 1. The Ministry of Culture, Tourism and Civil Aviation (MoCTCA) decided to raise the insurance cover after an avalanche near Camp 1 of Mt. Everest killed 13 mountaineering workers. Three others are still missing. Issuing a statement on Friday, 29th Aug. the ministry said it has raised accidental insurance cover for Sardar, mountain guide and high-altitude workers to rs. 1.5 million from exciting rs 1 million. Similarly, medical insurance for them has also has been raised to rs. 1 million. The decision was taken as per the suggestions of different associations following the deadly avalanche, according to ministry officials. 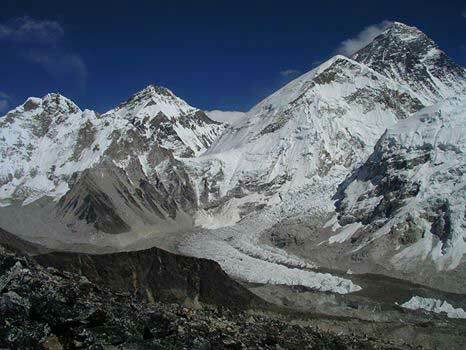 Different associations like Nepal Mountaineering Association (NMA), Trekking Agency Association of Nepal (TAAN), Himalayan Rescue Association (HRA), Nepal National Mountain Guide and Sagarmatha Pollution control Committee had been requesting the government to raise the insurance cover. The ministry has asked all concerned to compulsorily buy accidental insurance, medical insurance and rescues insurance for liaison officer and mountaineering workers. More than 500 foreign tourists and their guides, porters have been rescued after a deadly landslide in Nepal blocked a major Arniko highway, leaving them stranded in a border town over the weekend. The mostly Indian, European and Chinese tourists were returning to Kathmandu after hiking expeditions in Tibet when heavy rains triggered the landslide, blocking the Arniko highway to the capital and forcing them to take refuge in Tatopani town on the Nepal-Tibet border. The MM 60 aircraft of Nepal Airlines Corporation (NAC) brought from China has made its maiden commercial flight on Wednesday. The aircraft, received as a gift from the People's Republic of China, flew passengers from Kathmandu to Biratnagar and vice versa, according to NAC spokesperson Ram Hari Sharma. The aircraft was scheduled to fly to Bhadrapur as well, but this plan did not materialize as the flight assessment certification was yet to be made, said Sharma. The NAC has begun flights with promotional fares, which is almost half of private airlines’ fare. It will initially start from services to and from Biratnagar, Bhadrapur, Bhairahawa and Dhangadi. Currently being flown by Chinese pilots, the aircraft will be flown by NAC pilots after completing some 100 hours of in-service training, according to Sharma. In the first phase, the NAC is planning to make 15 flights per week with the new aircraft. Sudip Kulung Rai has clinched the Tenzing-Hillary Everest Marathon 2014 finishing 42 km full marathon in 3 hours, 52 minutes and 9 seconds on Thursday. Similarly, Bhim Bahadur Gurung stood second completing the race with the timing of 3 hours, 53 minutes and 58 seconds while Suman Kulung Rai finished third at 4 hours, 8 minutes and 10 seconds. In the foreign category, Polish nationals have dominated the event in the foreigners’ open category as Polish Robert Celinski and Radaek Serwinski secured first and second spots respectively while UK’s Timothy Watson finished third with the timing of 5 hours and 45 minutes. Celinski took 4 hours, 39 minutes and 39 seconds to complete the race as Serwinski finished the race at 5 hours, 43 minutes and 5 seconds. Ang Chuttin Sherpa completed the race in 5 hours, 8 minutes and 5 seconds to win women’s full marathon while Mingma Lhamu Sherpa stood second with the timing of 5 hours, 8 minutes and 45 seconds and Lhahak Futi Sherpa took 5 hours and 22 minutes to finish third. In the half marathon category, Australian Karl David Turkovic, Belgian Jeremy Kersten and Australian Amanda Ryan dominated the top three places. Meanwhile, Samir Tamang won the Everest Extreme Ultra 60 km completing the race at 7 hours, 17 minutes and 55 seconds while Homlal Shrestha clinched second place with the timing of 7 hours, 38 minutes and 15 seconds. D.B. Kulung Rai stood third as he completed the race at 8 hours, 36 minutes and 20 seconds. Himalayan Expedition has been organizing the event on every May 29 for the past 11 years to commemorate the day Tenzing Norgay Sherpa and Sir Edmund Hillay conquered the world’s highest peak, Mt. Everest, for the first time on May 29, 1953. A new aircraft of state-owned Nepal Airlines Corporation (NAC) has arrived from China at Tribhuvan International Airport, Kathmandu on Sunday. Head pilot of Nepal Airlines' newly arrived Chinese aircraft "Chinese Modern Ark 60 (MA60)" waves to the crowd at TIA, Kathmandu on Sunday. Narayan MaharjanIt was the first time that the NAC has brought a new aircraft for domestic flights after 28 years. The 56-seat aircraft has been provided by a Chinese company in grant assistance to the NAC. At present, the NAC has no aircraft for domestic flights, as the only twin-otter it had, crashed last February and another one was grounded due to technical problems. The Chinese Government has already agreed to provide four more aircrafts to NAC for operating domestic flights. The NAC received a 'no objection letter' to this effect from the Civil Aviation Authority of Nepal (CAAN) on Friday. However, the NAC is yet to get permission from CAAN to operate the new aircraft. According to CAAN director general Ratish Chandra Lal Suman, it was awaiting the arrival of the aircraft to initiate the process for granting the operation license.